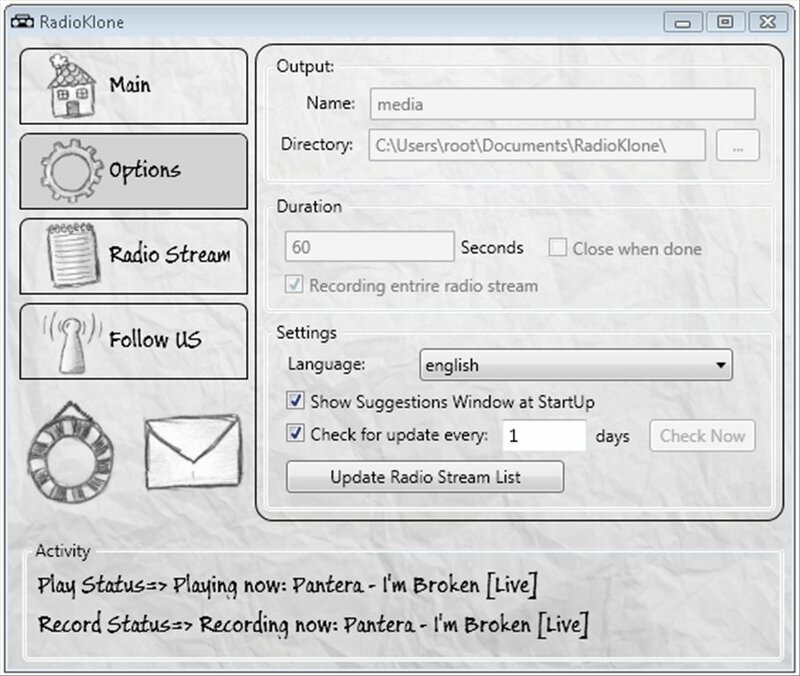 RadioKlone is an application with which you will be able to listen to your favorite radio stations and at the same time easily record the broadcasts. 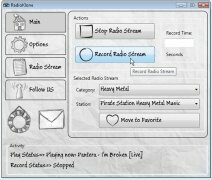 Record the radio on your PC. Who hasn't recorded his favorite radio program once in a while? Or a song that you can never end up finding over Internet? 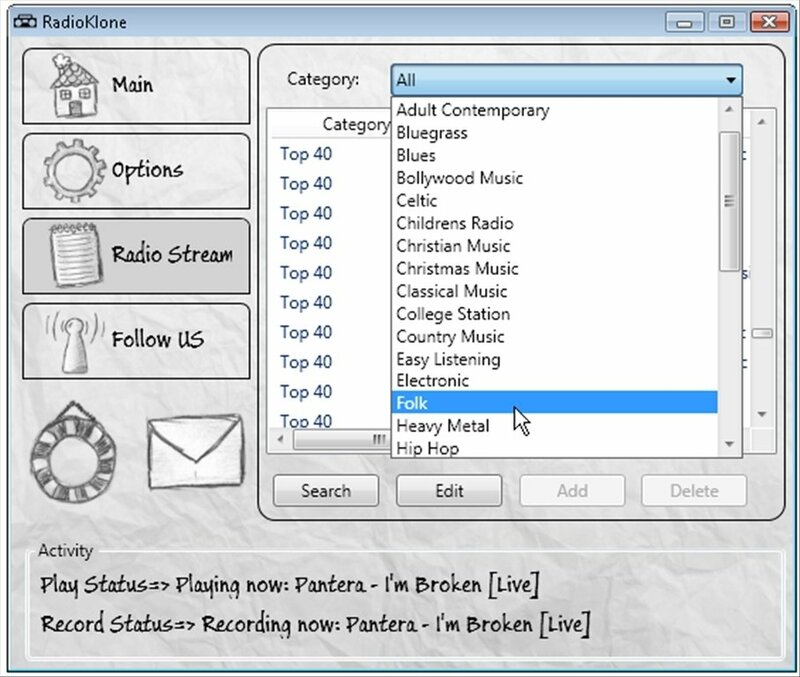 With RadioKlone it is very easy to listen to online radio, discover new artists and songs, and record the music that you like most on MP3. 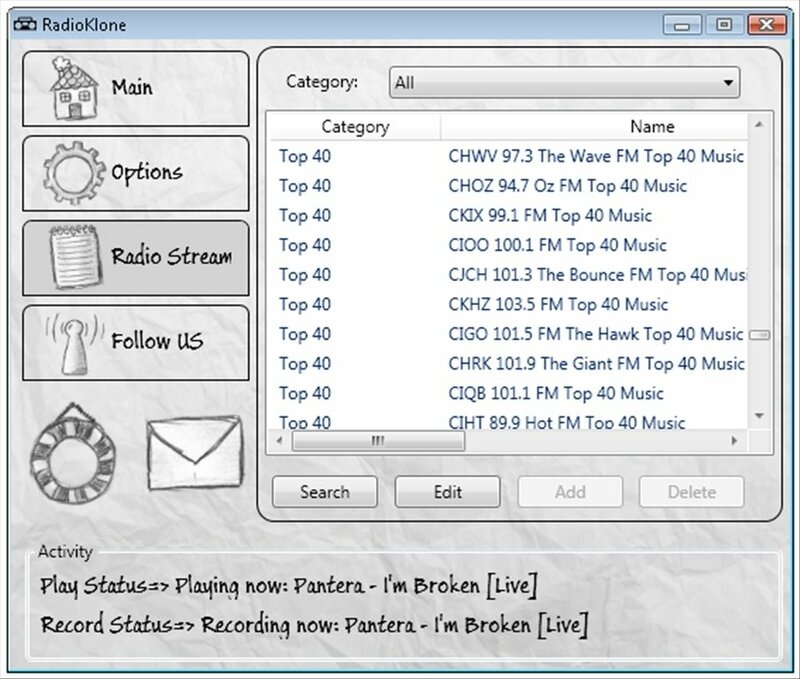 Selection of radio stations classified by categories based on the type of broadcast. 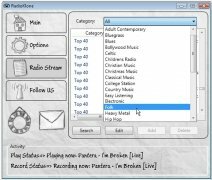 Thus it is possible to choose between broadcasta of celt, blues, bollywood, country, folk, electronic, pop, reggae, hip hop, soul, rock and heavy metal music among others. 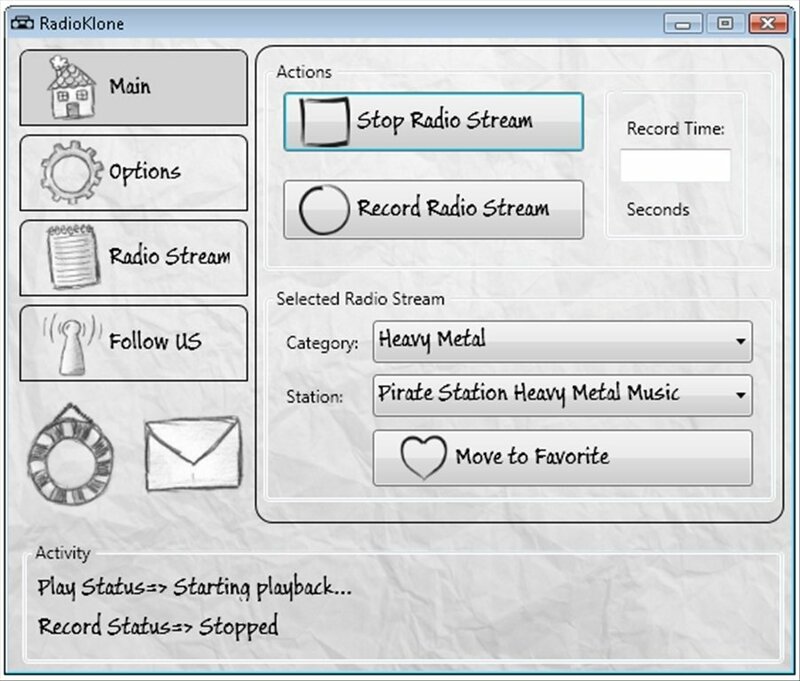 Simple control to start the radio streaming and the recording. 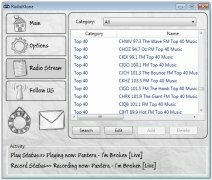 Quick access to your favorite radio broadcasts. 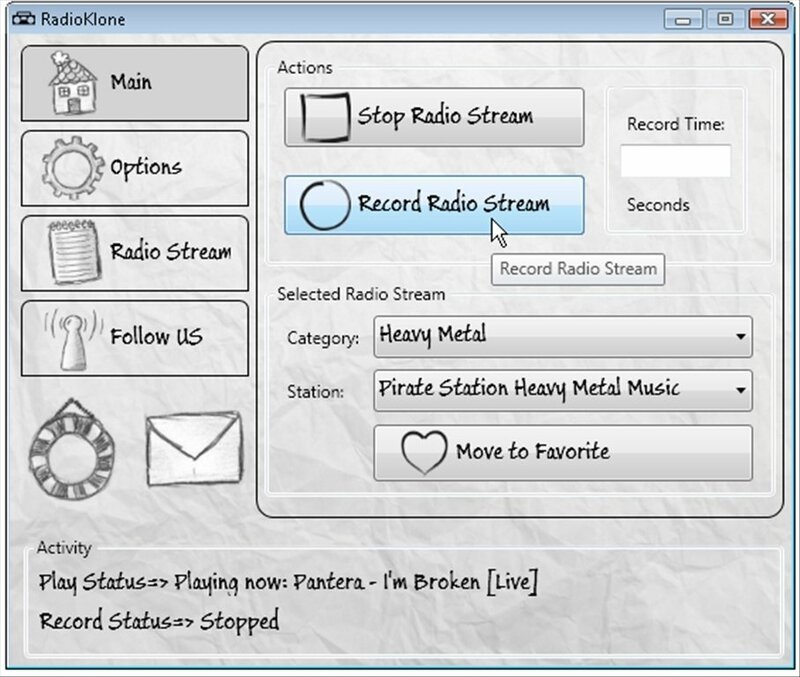 Possibility to minimize the application in the system tray. 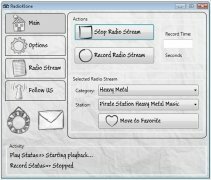 Online radio and recorder, two in one. 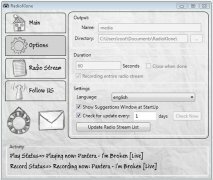 Download RadioKlone free, discover new themes and record them on your PC.